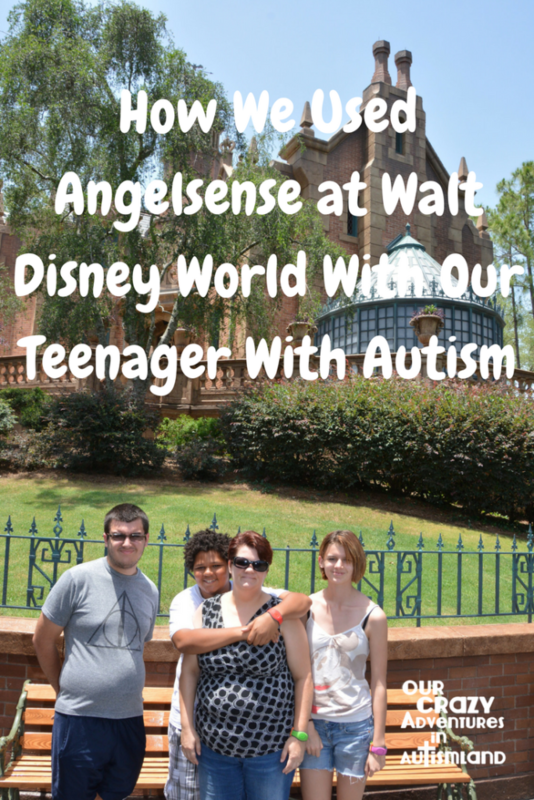 How we used Angelsense tracker at WDW with our teenager w/autism . Recently, we we returned to Florida to visit family as well as attend the FPEA convention with our favorite vendor, Writeshop. While there, we of course went to the Happiest Place On Earth. I like to use theme parks to work on skills with Logan. It helps to reduce my anxiety as I remind myself that I will never see these people again. No matter how odd we look or if a meltdown becomes inevitable, we can continue on with our life with no one we know any wiser. Plus, people who don’t know Logan give him situations that I would not be able to set up in a million years. They presume competence at his chronological age which can turn into a fantastic learning opportunity for them and him. We’ve begun working on independence with Logan. Since his 10 year life plan involves living independently, we must prepare him for doing things on his own. At this point, we need to do this with the recognition that he is vulnerable due to his autism. Until he becomes more proficient in adulting for lack of a better term. we must put parameters in place to keep him safe. The trick is to put safety parameters in place without making him feel like we don’t believe he can do it. Angelsense allows us to do exactly that. The features of Angelsense make setting up Logan to be independent super easy. 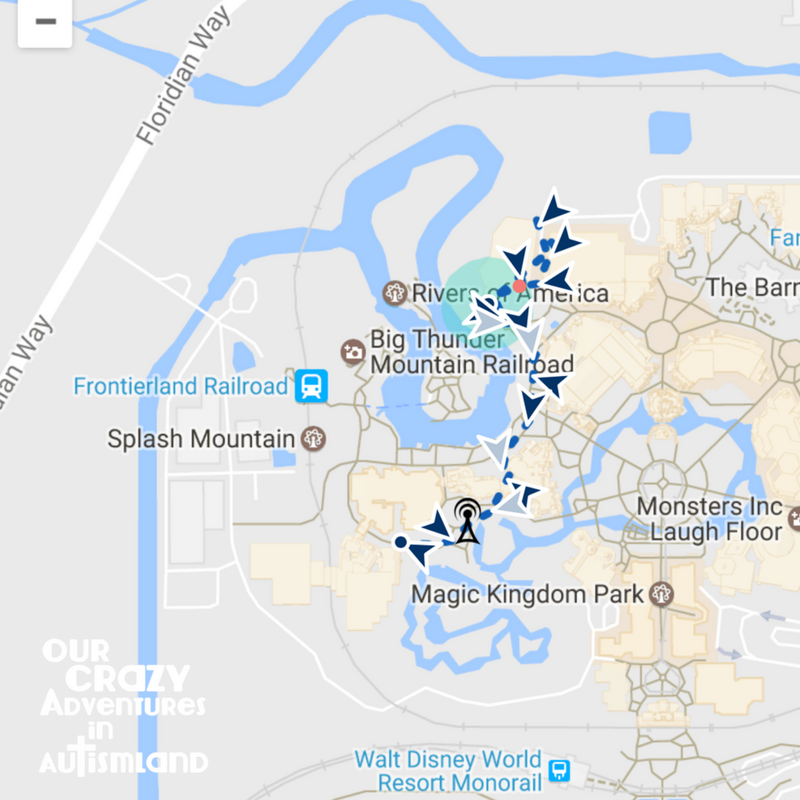 I was able to track where he was down to the ride he was on at the time. This enabled me to give him clear directions on where to go to meet up as well as to get to him quickly. I could listen in as he approached the kiosk to help thwart any miscommunication. Additionally I could speak back and forth with him if necessary regardless of whether or not his phone was charged. I could also track his path for the day to see how well he navigated the crowd. At Magic Kingdom, I discovered he always went the same way to get to Haunted Mansion to meet up with me. Inquiring about it with him made me realize he was taking the less crowded route because it was easier for him sensory wise. That bit of information was an important discovery in his path to independence. All of these items together give me peace of mind as I send him to navigate the world without me. You can attach the Angelsense to the child’s clothing. This would have been a perfect scenario when he was a runner or wanderer as a small child. What works for Logan is that he puts it into his pocket just like his cell phone. It stays in his pocket until we get home. He’s not a huge fan of it but he does acknowledge it’s usefulness. As its’ use gains him more independence, I suspect he will tolerate it better. For the moment I can reason with him as to its’ usefulness so he begrudgingly takes it. He trusts that I have his best interest at heart. I make sure that he is able to carry it incognito. I don’t talk to him through it until I have listened first to make sure he won’t get embarrassed by it. Since Madison is surpassing him on the independence scale, he is starting to notice his autism more. Angelsense allows us to give him much wanted independence at a rate that makes everyone comfortable. The key features of Angelsense make it perfect for people with high functioning or Level 1 autism. Lots of times when your child is high functioning , you overlook things like this that will help your child. You think they are for the more severe types of autism or for kids who go to school. I challenge you to look past that to see the benefits it could have in achieving independence for your child. If using this helps us accomplish that goal while enhancing Logan’s safety then sign us up. His success as well as safety is of utmost importance to me. Interested in Angelsense? They have been gracious enough to offer my readers a $50 coupon towards a tracker. You still have to pay the monthly fee but I am confident once you use it for a month or two, you will be a convert just like me! 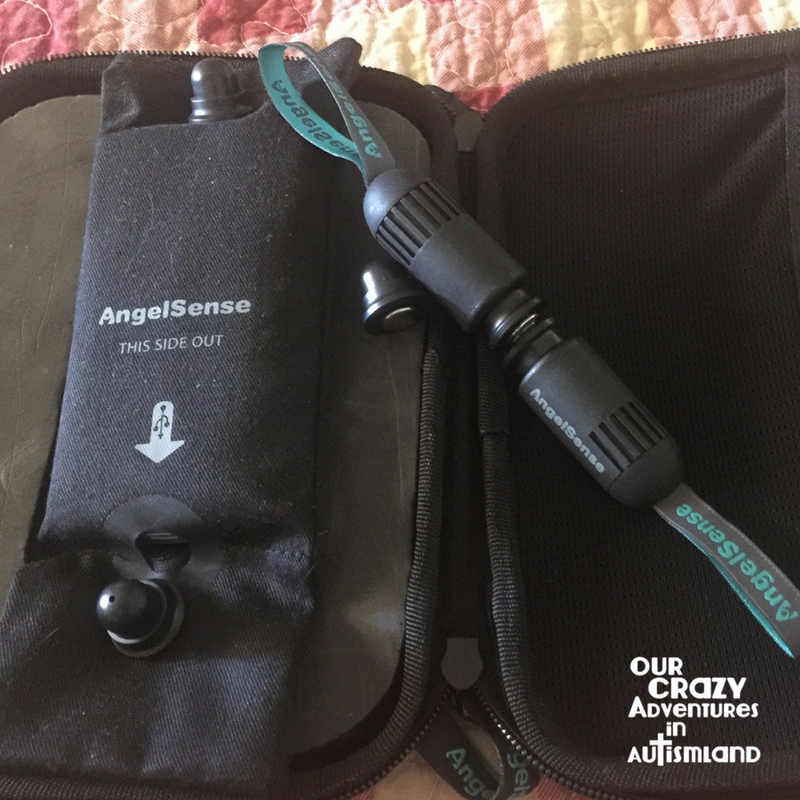 Though you are using this device as a means to track the behaviors of your son & ensure you know his location, I think it is important to point out that the AngelSense device is still just a cell phone in disguise. Literally… this device is just an average smartphone hidden inside a pouch. Of course, this leaves the device subject to all the same failures a cell phone can experience, including but not limited to a drop in coverage or inadequate coverage. Reliance on this device is inadequate and unreliable (as any GPS device would be, especially one that is not at all meant to be used as a locating device)… What would you do if the device lost coverage or service? These are great questions. We have not been in an area yet were there wasn’t some sort of cell coverage by at least one phone company. His tracker even works in Tombstone where my cell service is sporadic at best. The vast majority of time it works so it’s a risk I’m willing to take with him. If it lost service more often than it would not be a viable option for us. For a child who is a wanderer, I think any coverage is better than no coverage so it would at least give you a place to begin searching. This was a great question. Thanks!